HopStop, a much loved website for public transit, cab, walking and biking directions can get you to and from anywhere you want to go in 57 major metropolitan markets throughout the U.S., Canada, Europe and Russia. As a busy 26-year old in the big city with a lemming’s sense of direction, I use its iPhone app almost everyday. The site provides maps marked with nearby subways and bus stops (and restaurants, bars, clubs, hotels etc. ), estimations for taxi time and cost, calories burned, carbon emissions savings and the ability to re-route suggested transit plans. It even takes scheduled route changes due to construction and spontaneous subway delays into account. 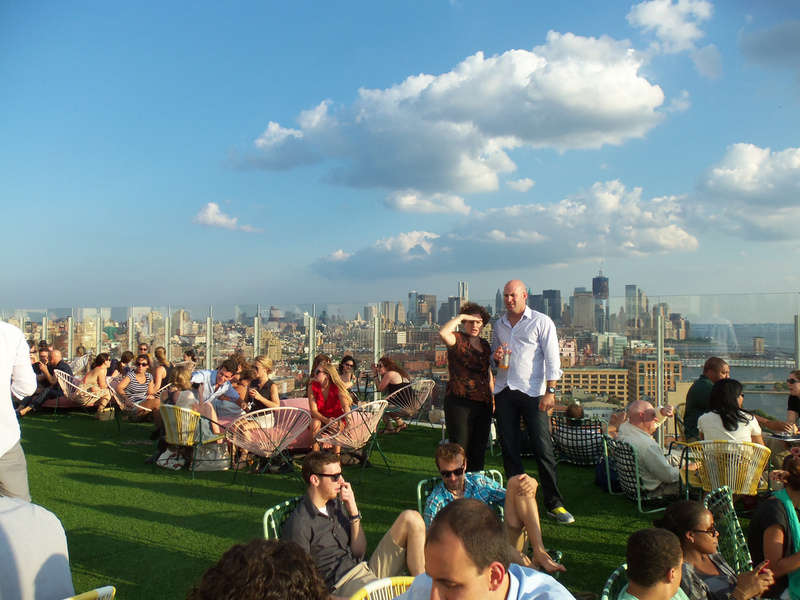 Today, HopStop figured out which local beer gardens and hotel rooftop bars in New York City were drawing the biggest crowds this summer, by mining its historical search data. HopStop measured this by seeing which beer gardens were listed most often as either the destination address or starting address within a HopStop direction search in June and July of this year. In total, it considered 32 beer gardens across the five boroughs. It’s clear people will travel for beer, and thanks to HopStop, I assume everyone made it home without getting lost. Only two weeks left of summer! Soak up the sun while it lasts. Read more: HopStop now provides carbon emissions savings with your directions.